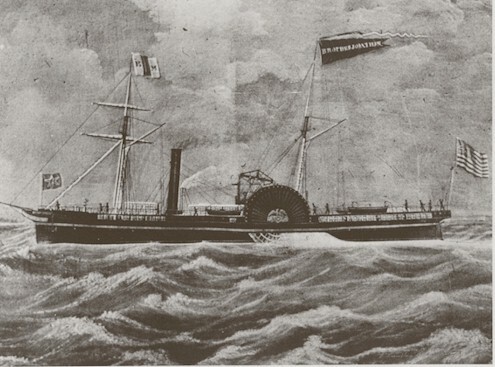 The steamship Brother Jonathan arrived in Portland, Oregon at about 4am on March 15, 1859 with some big news. Five days earlier it had left San Franscisco with an official missive that had arrived by stagecoach from St. Louis, where the news had been wired a month previously from Washington D.C.
On February 14 President James Buchanan had signed the bill granting Oregon statehood. Thirteen hours after the ship’s arrival in Portland, officials in Salem received the official word.